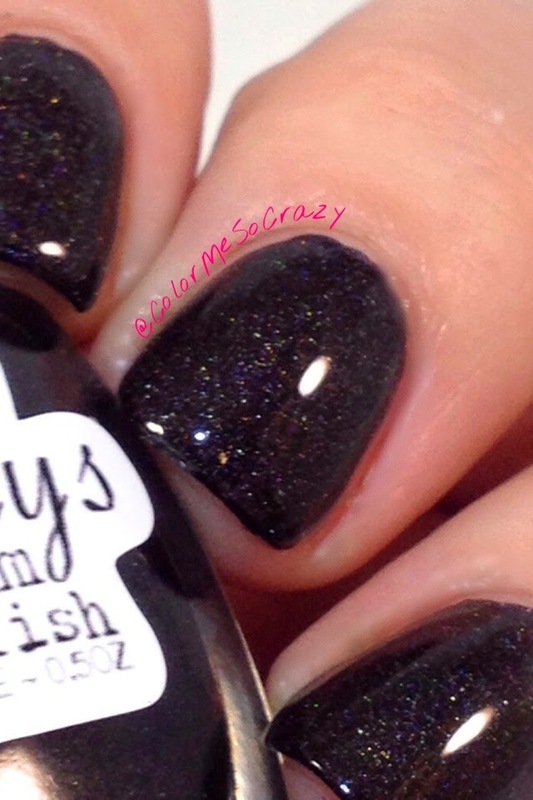 I am bringing you a new and exciting brand to me- Aly's Dream Polish. 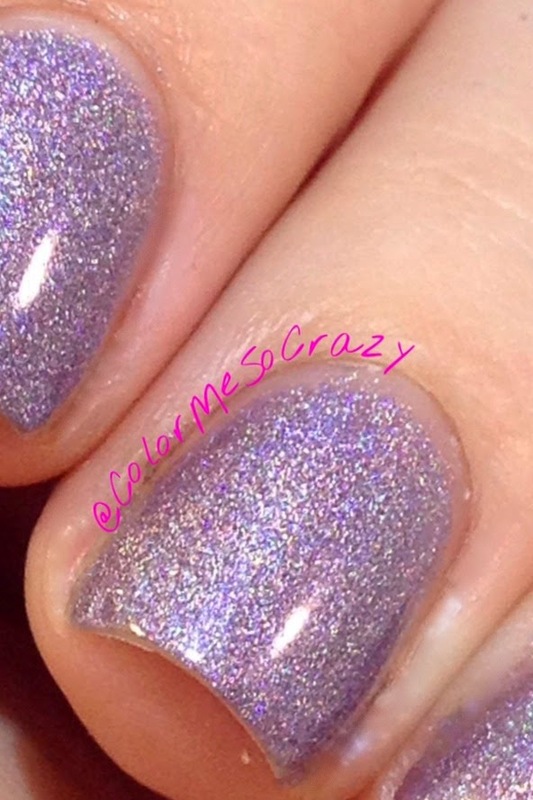 I have seen and heard of this brand- especially when it comes to holos. I was super excited when my package showed up on my doorstep with three pretties in it. 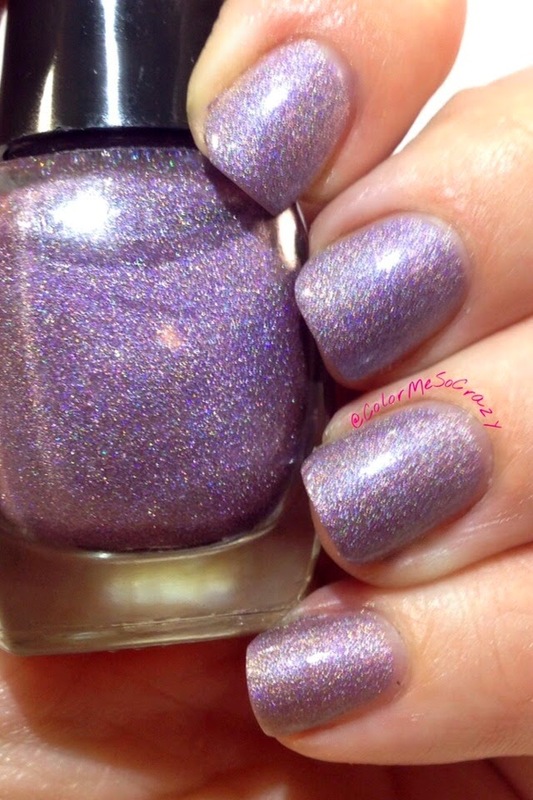 This polish is a purple holo. It leans towards a lavender side. 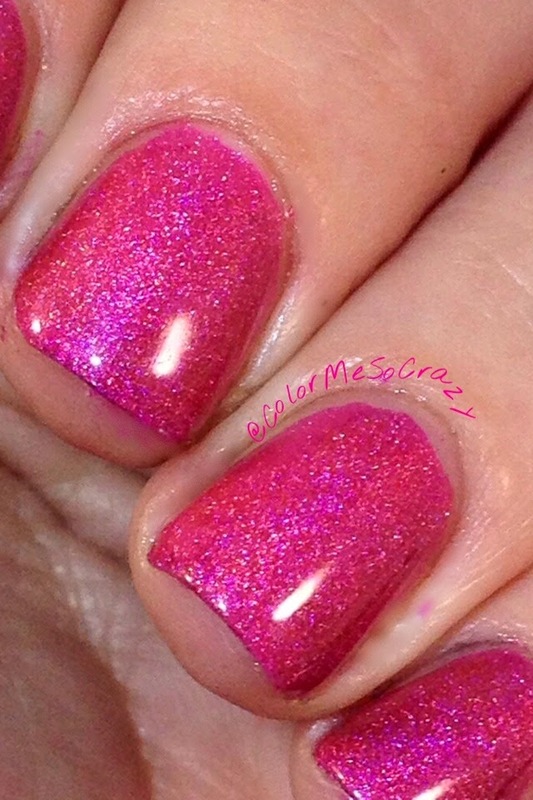 This polish is a builder and took about 3 coats to get the opacity that I wanted. This is a 15mL full size bottle that you can buy for $12. This is a exactly what the name says. 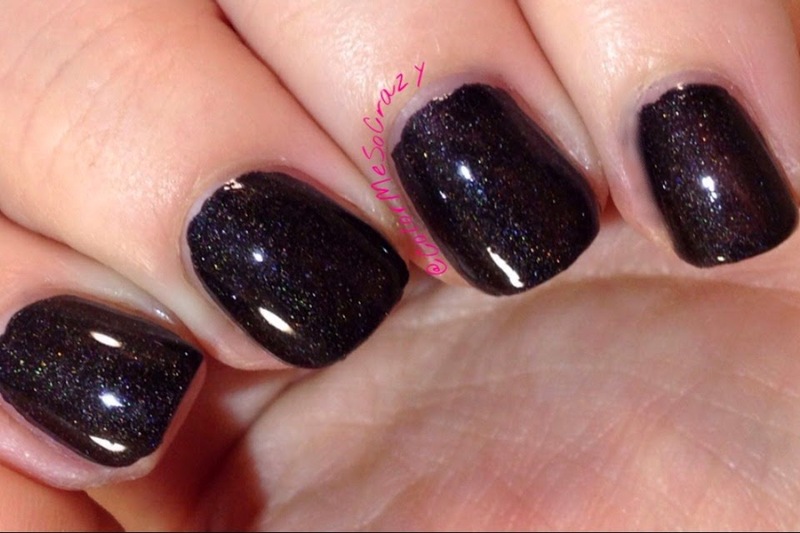 It is super black!! 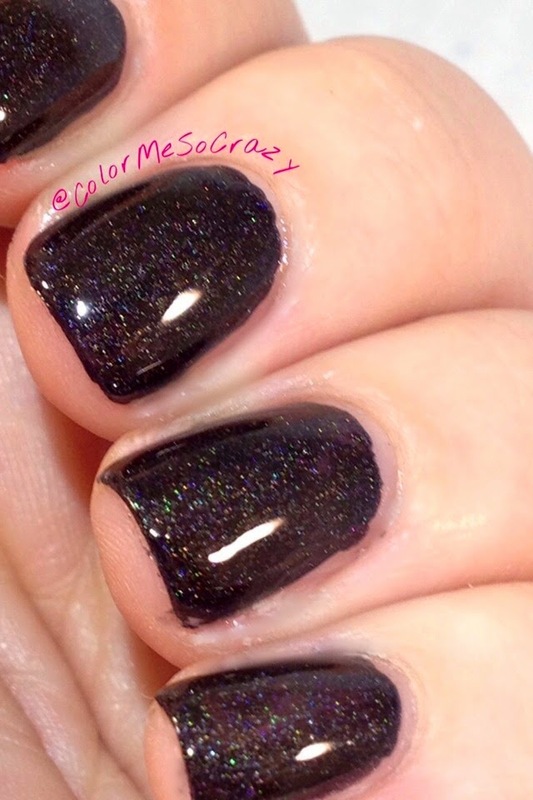 This is a pure black scattered holo. I was not able to find this on the site, but I'm sure if you love it, you can email her about pricing and further information. 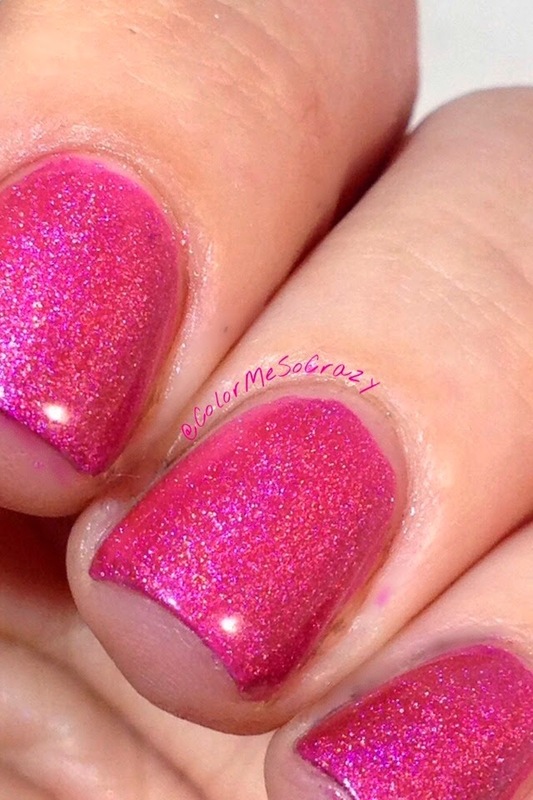 This polish is a redish pinkish jellyish scattered holo. Yes, I know that's a lot of "ish", but it's the best way to describe it. I wasn't going to add jelly to it, but it really was a jelly. It was a builder and took about 3 coats to get it opaque- the way I like it. You can buy this beauty in her shop (click the name above) for only $12.